We’ve mentioned this many times before, but 10 years ago saw the launch of one of the most successful consumer products of all time, the Apple iPhone. An elegant device, the iPhone is really an appliance that locks customers in to the Apple ecosystem with strict limits on what they can do with the device. But what if there was another way? OpenMoko certainly seemed to think so with an approach where everything was “open” instead of “closed”. Launched ten years ago this month, the OpenMoko Neo1973 was designed purely on open source software that users could theoretically do anything with. Even the hardware was designed to be hackable, and a knowledgeable user could do virtually anything with what was in effect a tiny open source computer. For people who wanted to tinker with the OpenMoko kernel or do other advanced tasks, a debug board would become available too. The phone itself seems a bit primitive by today’s standards. A 2G-only device lacking even WiFi, it had a small (but very sharp) 2.8” VGA resolution screen, GPS, Bluetooth and a microSD slot which could take SDIO peripherals. The Neo1973 by default ran a version of Linux called OpenMoko Linux… but of course there was nothing to stop you adapting another OS for the platform and many people did. A chunky design with a hole in the bottom for a lanyard, the design was unusual even for its time. The 1973 in the name referred back to the world’s first mobile phone, the 1973 Motorola Dynatac. 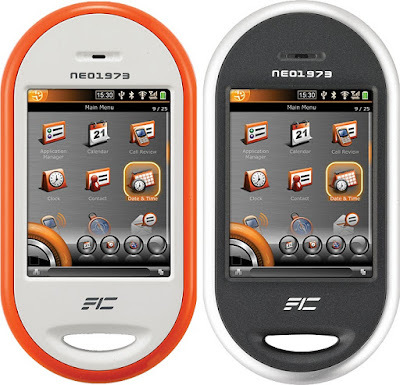 The “Neo” indicated a hopeful new chapter in the world of mobile telephony. It didn’t quite work out the way OpenMoko expected, and the Neo1973 was a bit of a niche item with a small but highly enthusiastic group of users getting involved. 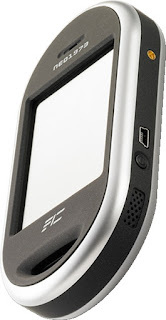 2008 saw the launch of the OpenMoko FreeRunner which added WiFi and some other hardware enhancements. Development fizzled out in 2010, but a firm with the fruity name of Golden Delicious Computers went on to make the BeagleBoard based GTA04 after that. The ongoing Neo900 project also takes on board some of the OpenMoko ideas. Although it only ever remained a device used by enthusiasts, in retrospect it can be seen as a precursor to devices such as the Raspberry Pi (launched in 2012). That device was more of a return to the bare-bones boards of the 1970s, and crucially it was cheaper and easier to work with than the OpenMoko designs. OpenMoko handsets today are very rare but don’t seem to be expensive when they come up. Although the OpenMoko project is no longer active, there’s still a wealth of information about them on their Wiki.